The European Commission has launched a public consultation on what should be included in a ‘Pillar of Social Rights’ for the Eurozone, the 19 EU member states which use the Euro as their currency. This is timely. It is clear that the ‘European Project’ is in crisis. Poverty is increasing and more and more people are not able to afford the basics of a decent life. Cutbacks in income supports and services as well as changes to protection for people on low incomes and in insecure work, introduced during the recession, are becoming more deeply embedded in most countries. Since the economic crisis of 2008, people in Ireland have been particularly aware of the importance of the Eurozone for the policies which affect our lives. Politicians and journalists argue about whether successive Governments or the ‘ECB/EC/IMF Troika’ are to blame for decisions which have devastated services and supports for people on low incomes. For people effected the point is not so much to place the blame as to change the decisions and policies underlying them. Now, decisions about tax and spend, spending priorities and new measures to promote ‘competitiveness’ take place largely within the structures of the Eurozone. Being part of the Eurozone brings with it increasingly strict rules about balancing budgets and reducing deficits. This is a normal part of sharing a currency. However, there are as many ways to balance a budget, and as many ways to make an economy more competitive, as there are to skin a cat. The actual operation of the rules depends on the strength of pressure groups at work and the ideology of the people sitting around the various tables. EAPN has argued for many years that the European Union as a whole needs stronger social policy. From the start, European law has always centred on market integration, and later fiscal and financial integration. This has been balanced, to a greater or lesser extent, by social policies which are mainly decided by national governments. Without an agreed ‘social floor’ to protect income and rights, free trade and monetary union will push down conditions as countries scramble to attract investment in a ‘race to the bottom. This is even more true of the Eurozone, whose decisions have such direct effects on policies but which not developed the same level of democratic accountability and openness as the wider European Union. This is why the discussion launched by the Commission on a ‘Pillar of Social Rights’ for the Eurozone is so important. 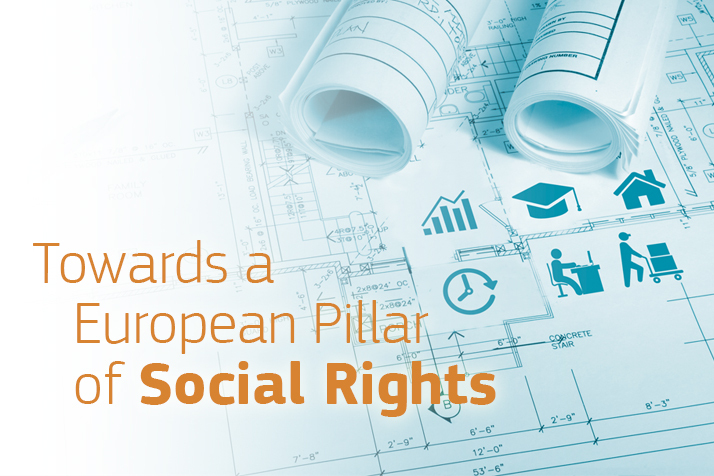 The European Commission’s public consultation on the development of a European Pillar of Social Rights was launched in March and will run until the end of 2016 and result in the publication of a White Paper early in 2017. The White Paper will include a number of principles which participating countries will use to screen the performance of their employment and social policies. It will not result in any new rights but try to ensure that existing ones are more effectively implemented. While all EU countries are welcome to join in the focus is on the 18 Euro zone countries in the Economic and Monetary Union (EMU) but other EU countries can join in if they wish. 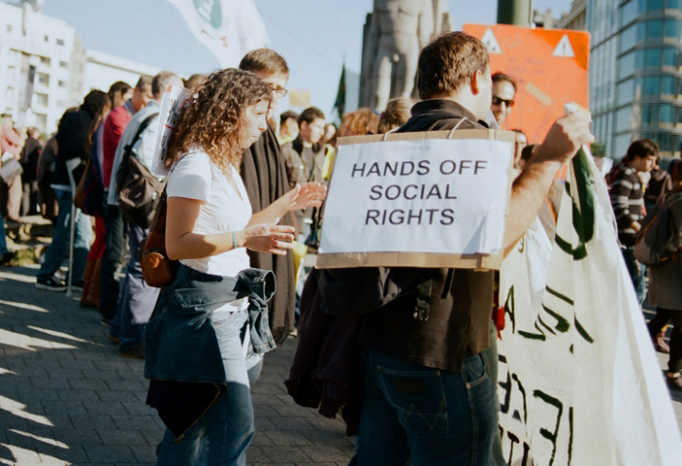 In its consultation document the Commission recognises that during the crisis there was a failure to effectively implement existing EU social rights and that poverty and inequality grew. They also note rapid demographic changes, advances in technology and changes in work practice which provide new challenges. This is why the Commission is setting out to review existing rights and to see how they can be more effectively implemented in the future. Equal opportunities and access to the labour market (skills, education and life-long learning, flexible and secure labour contracts, secure professional transitions, active support for employment, gender equality and work-life balance, equal opportunities). Fair working conditions (conditions of employment rights, wages, health and safety, social dialogue and involvement of workers). Adequate and sustainable social protection (integrated social benefits and services, health care and sickness benefits, pensions, unemployment benefits, minimum income, disability benefits, long-term care, childcare, housing and access to essential services). EAPN has long being calling for a more balanced approach to social and economic policy in Europe and with poverty and inequality still at crisis levels across the EU and three quarters of a million people living below the poverty line in Ireland such a proposal to strengthen social rights is certainly well overdue. Poverty and inequality need to be prevented and tackled because of the damage they do to people and society in general and not because they are seen as blocking economic growth. This must be the driver for the consultation. EAPN Ireland will respond to the consultation and try and ensure it is as effective as possible. We have to wait and see if the ambition of a ‘Pillar of social rights’ will result in any real change but it is important to take the opportunity on offer. The focus of the consultation is on social and employment policy but as we have become very aware of in the past number of years, social progress is very much dependent on what approach is taken to economic policy and how the European Semester is implemented. If economic and social policy do not complement each other, then there will be little change. It is also a concern that the consultation is focused on those countries in the Eurozone rather than the wider EU. While this is obviously a problem for those countries which are not participating, it could also limit the possibility for any real change that a Pillar of Social Rights can have even in the Eurozone countries. As polls closed on election day on February 29th, the European Commission published its annual Country Report for Ireland. They had not wanted to publish it before 10:00pm in case it was seen to be influencing voters. As it turns out there is quite a lot in the report that would be of interest for those voting on the day and I would encourage you to have a look. 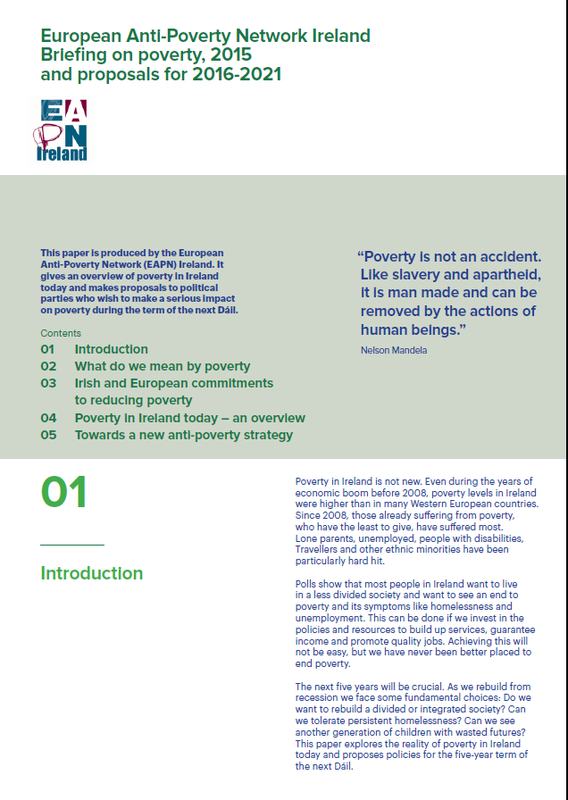 The report includes a detailed analysis on a broad range of areas with the emphasis on macroeconomic concerns but also addressing a range of areas relevant in addressing poverty and social exclusion including housing, health and one section covering the labour market, education, social policies and inclusive growth which covers childcare. One of the most important messages from the Report is that Ireland has large gaps in its public services infrastructure, which also suffered major cuts during the crisis. This has resulted in increasing issues for the quality and adequacy of the services which now need immediate investment. The specific areas which are highlighted are in transport, housing and water infrastructure while education and health are also highlighted but as less severely affected by cuts. The next section of the report is on taxation, which is the key source of the resources necessary to invest in in this infrastructure. The report highlights that Ireland’s overall tax take is low by EU standards with the Irish Government collecting taxation equivalent to 29.7% of GDP in 2015, whereas the EU average is 39.1%. The Report looks at various areas of taxation, which makes interesting reading. It is critical of the Government’s recent decisions to cut taxes or forego the opportunity to bring in revenue in some areas as both regressive and as not geared towards broadening the tax base. While the issue of broadening the tax base is important in addressing the gap in public services the Commission should really not be surprised that investment in Ireland’s public service infrastructure, already underdeveloped before the crisis, has suffered so much during the crisis. These cuts were a direct response to the austerity policies promoted by the Commission itself as part of the troika and implemented by the last two Governments in Ireland. Investment in social infrastructure is also restricted by the expenditure rules Ireland is tied to under the EU’s Stability and Growth Pact. In the section of the report dealing with education the Commission specifically highlights that the decrease in expenditure in the area of education has had a negative impact. It specifically points out that the increase in the student-teacher ratio in many schools, a reduction in the allocation of language support and the withdrawal of both the Visiting Teacher Service and Resource Teachers for Travellers could in turn have a negative impact on the quality of educational outcomes in the future. These specific cuts were used by EAPN Ireland to highlight to the troika and the Government at the time, that short term measures to make savings and reduce budget deficits would result in longer term social and economic costs. These impacts are now apparent. The report highlights that relative poverty and income inequality have increased with three in ten children now at risk of poverty and social exclusion. These too are as a result of policy decisions in a range of areas. In addressing the issue of poverty and inequality the Country Report focuses mainly on the Government’s measures to address the low work intensity of households. While supporting people to access quality work with a living wage is very important the Commission, and the Government, need to take much wider analysis of the causes and solutions to addressing poverty and inequality. Access to quality social services, addressed in other parts of the report, also have a key part to play. While the report does highlight that social transfers have been effective in greatly reducing poverty levels it does not address the need for an adequate income for those depending on social welfare supprts. Current social welfare payments for those of working age are €20 below the poverty line and are far off the levels needed to provide people with a minimum standard of living as calculated by the Vincentian Partnership for Social Justice. In picking up on issues missed in the past by the Commission the Report does highlight the need to invest in quality, as well as affordable childcare. In the area of health it goes past solely focusing on cost effectiveness to highlighting the inequality that exists in the Irish two tier health system, but does not go as far as addressing the poorer health outcomes for those from those with lower incomes and from more disadvantaged groups in society. 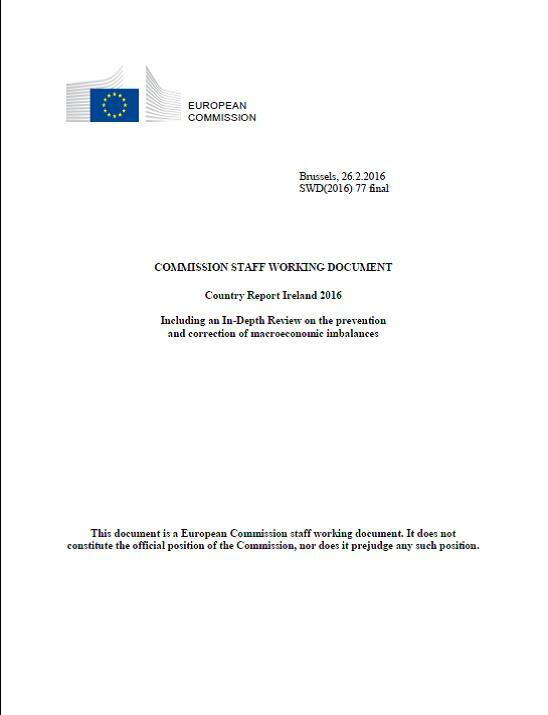 These Country Reports are published as part of the EUs European Semester process and the Report for Ireland is meant to inform the Irish National Reform Programme, which they will send to the Commission in April, and the Country Specific Recommendations Ireland will receive from the EU in May. As the name suggests the Recommendations give very specific guidance to the Government on policy changes they want to see put in place. Hopefully when the Commission does issue its Recommendations in May it will include one asking the Government to develop a new all of Government anti-poverty strategy which addressing the different dimensions of poverty, including ensuring the people have an adequate income, whether they are in or out of work. My generation of young Irish people have seen many benefits from our country’s membership of the European Union. The freedom to travel anywhere across our continent, to experience new cultures, to see investment in many infrastructure projects in towns up and down the length and breadth of the country and even tackling mobile phone roaming charges – these are just a few of the tangible, simple benefits we have seen from Europe. However, it is clear that as a people we all too often feel removed from the European project. Issues concerning us are discussed many, many miles from here yet how engaged with this process are we as a people? As a new TD, I have come to the Dáil full of energy, enthusiasm and a desire to play my part in reforming and rebuilding our country. It is clear that an important part of this reforming exercise will be examining how we interact with our European neighbours. This year in the Dáil we held the first ever special sitting to mark Europe Day. We heard from our MEPs, from the European Commissioner, from the Taoiseach and from other party leaders about Europe, Ireland and our relationship. This was a worthwhile first step but needs to progressed and developed further. When one reads a newspaper these days, our relationship with Europe seems dominated by talk of banks, bailouts and bonds and whilst there is no doubt these are vital and topical issues, our relationship with Europe must go beyond that. I want to see more discussion, debate and exchange of ideas about social issues. I want us to learn from each other on how we can best tackle social challenges. We need to be exchanging ideas on best practice in education, in health, in disability and on the environment. Recently in the Dáil I highlighted the fact that at a European level it had been agreed to have a pan-European helpline for missing children yet years later we have yet to put this in place in Ireland. This is just an example of where we need to seek much greater follow through on what is agreed at a European level being delivered on in our own country. There is an onus on those of us in the Oireachtas to keep abreast of what is happening in the EU, the European Parliament and the European Commission. We need to constantly look at new ways to make this scrutiny of European issues more seamless. But there is also an onus of all of us – on every Irish citizen – to get involved. If the European project is to be a success in what it strives to achieve, it needs not just bureaucrats, institutions or directives but rather it needs citizens of Europe onboard and in tune. The commitments in the Programme for Government are welcome and I think we’ve gotten off to a good start on this but a huge body of work remains to be done and I look forward to playing my part. Europe was never meant to be just about banks – it is about so much more than that. We must all strive to redress this imbalance! EAPN Ireland is delighted to announce its participation in a new initiative from the European Commission: NGO EU Connect. This initiative, which provides information on funding, policy, institutions and contact points is a welcome development for NGOs involved in anti poverty work, and especially for EAPN Ireland in meeting the needs of its 250 members. 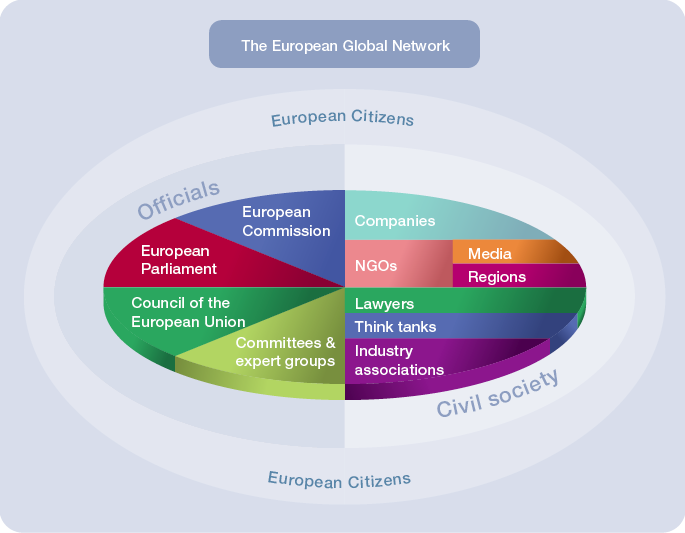 Crucially, at a time when collective action has never been so important, NGO EU Connect will help to build more effective coordinated engagement with European policy and politics. EAPN Ireland will act as one of the custodians in what marks an important development in strengthening NGO-EU interaction. Although Europe continues to be an important policy space, to some extent we have lost the comprehensive grassroots connection that was so important during the earlier Structural Funds period. In these difficult times we need to rediscover the innovation, risk taking and partnership processes that came with European membership; attributes that were considered the norm in those dynamic days. Social inclusion NGOs like EAPN Ireland are essentially about participation, ensuring that the voices of the most marginalised are heard and form an important part of policy formation and decision making. To that end EAPN Ireland has sought to build and support information systems that encourage community groups and equality focused organisations to engage with the European policy dimension. Our web-based information systems are widely used for this purpose, but our particular expertise is the interpretation and analysis of EU policy, so there is a strong complimentarily between EAPN Ireland and NGO-EU Connect. This development will enhance the links between NGOs and European institutions and policy processes, and will help to address the frequently cited weakness in the democratic connection between the citizen and the institutions of governance. We look forward to working with the European Commission, our partner NGOs and our members on this project into the future. We’re particularly excited about the interactive shared learning opportunities and we’ll be doing our bit to ensure that the site develops into a living, organic and immediately useful contact point for community and voluntary organisations. We have already had some discussions with the European Commission Office on how this initiative can be developed to meet the needs of our members and community and voluntary organisations in Ireland. We’ll be releasing information on those plans next week so keep an eye on our activities through the website, or our facebook and twitter presence. Drop us an email if you’d like to subscribe to news, analysis and information from EAPN Ireland.